It’s understandable to want to bring your dogs with you when you go to the beach. After all, they are a part of your family, and you are likely to have a lot of fun with them running on the sand, playing in the surf, and relaxing at the end of the day. 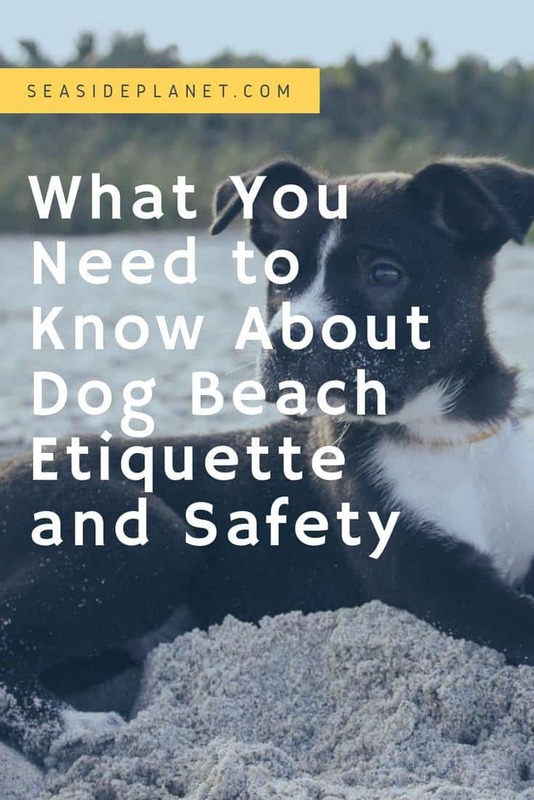 However, just like planning to bring the human members of your family, you need to make sure that you plan ahead so that your dogs are safe and so that they don’t bother other beachgoers. 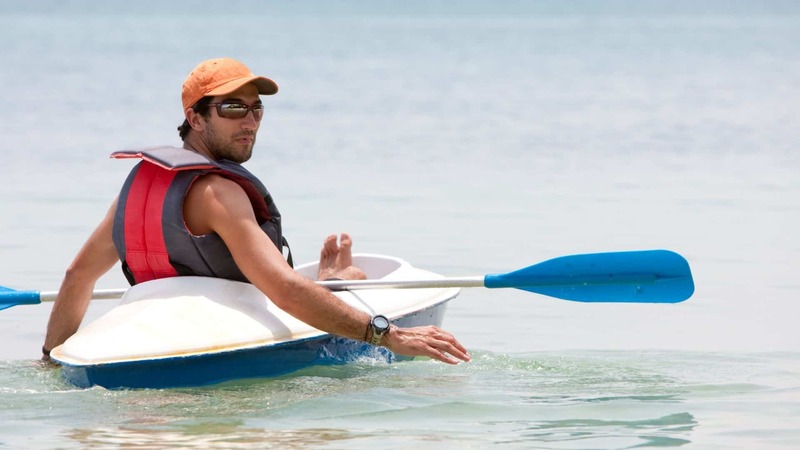 ​Many people don’t think about the importance how to control their dog and keep them safe on the beach, but if you want to have a great time on vacation and keep your dog safe, then it’s important to know what you need to do with your pet. 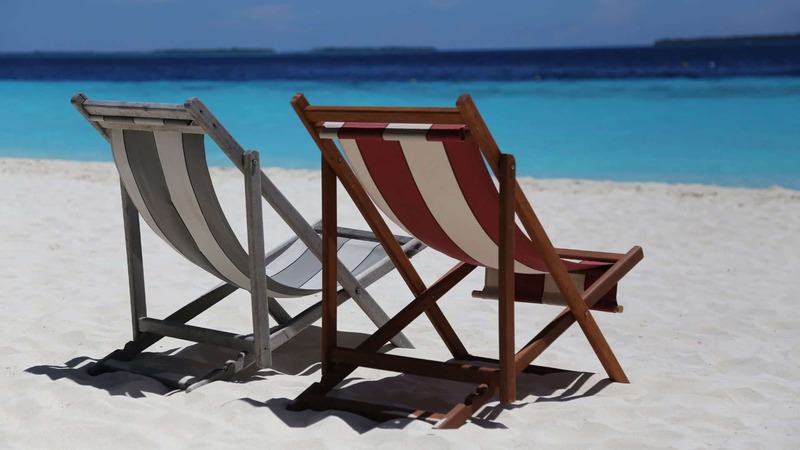 Understanding how to control them, how to keep them safe, and how to make sure that they don’t bother others will ensure that you have a great vacation, so I put together some tips to help you enjoy your day at the beach. 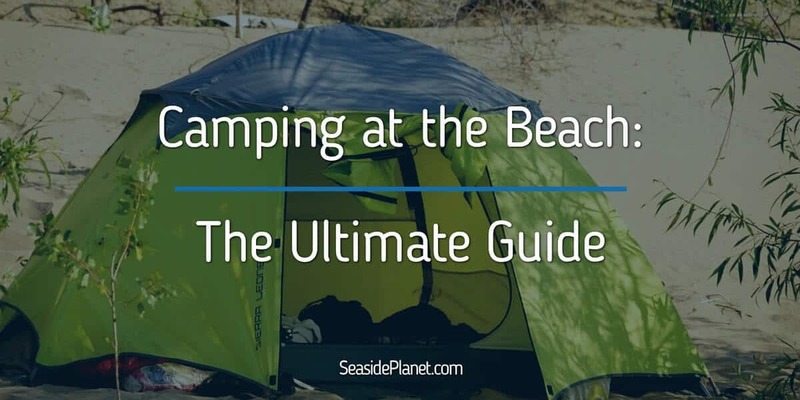 The most important thing to do before you get in the car to head to the beach is to make sure that you understand the rules of the beach that you are visiting. Since rules can vary from location to location, you need to do your research to make sure that you understand when you can take your dog to the beach and to find out if there are leash restrictions or if they need any special shots required to be able to join in the fun. If you don’t do your research beforehand, then you are very likely to be disappointed to find out that your dog can only go to certain areas or isn’t allowed to be off of the leash like you had hoped. If you are unable to control your dog verbally, or if your dog hates being on a leash and will fight you the whole time, then you need to seriously reconsider why you want to bring your dog with you to the beach. If you aren’t able to control your dog, then it will be getting into people’s faces, may eat something that it isn’t supposed to, and may even scare other people on the beach. Nobody wants to go to the beach and be afraid of the dogs there, so make sure that you can keep yours under control when around other people. While there are plenty of dog owners who bury their dog’s waste in the sand, this is unsanitary. It’s imperative that you make sure that you are prepared with all of the bags that you are going to need to pick up after your dog. Many beaches have bag dispensers available, but you can’t rely on these dispensers to have bags when you need them, which is why you need to plan ahead. Just like you wouldn’t look away from your child at the beach or the park, you want to make sure that you can always see where your dog is and what they are doing. It is very normal for dog owners to let them off of their leash and allow them to run and play without being watched, but this is not only dangerous for the dog, but also for other people. Unfortunately, not all dogs are the best swimmers, and if you are not paying attention to your pet, then they could be in the ocean and afraid without you knowing it. I think that it’s important that you keep an eye on your dog to ensure that they don’t bother other people. There are few things that will ruin a child’s day faster than being knocked over by a dog or having a dog run through their sand castle. Just like you wouldn’t let your child knock over another child’s castle, make sure that you don’t let your dog do it, either. 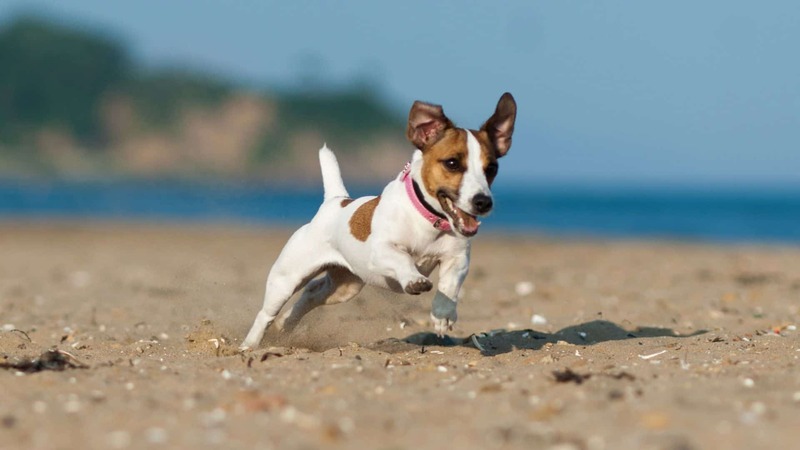 Your dog is going to get very hot when running and playing on the beach and will need water to ensure that they are not dehydrated. Unless you bring ample fresh water with you, they are very likely to attempt to drink out of a tide pool or the ocean, which can be very dangerous for your dog due to the high salt content. For this reason, you need to make sure that you have a lot of water for them, as well as a bowl that they can use. If you don’t have enough water, then you will need to make trips back and forth to the car or to your hotel. It’s much better to be prepared so that you can give your dogs the water that they need when they are thirsty. It can be frustrating to carry a lot of water with you, but I have noticed that without having the water on hand then your dog can suffer. Before you allow your dog to go into the water, you need to speak to the lifeguard to make sure that it is safe. While a beach may allow dogs to go off leash and swim, you need to ask about the tide as well as if there are any sharp rocks or seaweed underwater and close to shore that you need to worry about. If the water isn’t safe for your dog, then it’s a much better idea to skip the swim that day and try it on a safer day or in a safer location. Dogs love to be in the water, but there are jellyfish and sea lice lurking. If your pooch is going to go swimming, then you need to pack a bottle of vinegar. I have found that if your dog is stung, then you can pour the vinegar onto the sting to help both to kill off any stinging barbs left behind and to dull the pain. This will help your dog sit still long enough for you to be able to remove the tentacles and will make them feel better faster. It’s easy for homeowners to get lax about updating information on their dog’s tags, but if your dog were to become lost, then you want to make sure that the information is correct and updated. By making sure that your dog’s name, your address and phone number, and any major health concerns are clearly listed, you can take steps to ensure that your dog will be returned to you safely if it is lost. Now is also a good time to check the fit on their collar. You don’t want your dog to be able to slip their collar and run around the beach without any identification, as this will make it very difficult for you to find them again if they get lost. Some people feel silly putting sunscreen on their dogs, but animals can get sunburned just as people can, especially if they have pink skin and short white fur. 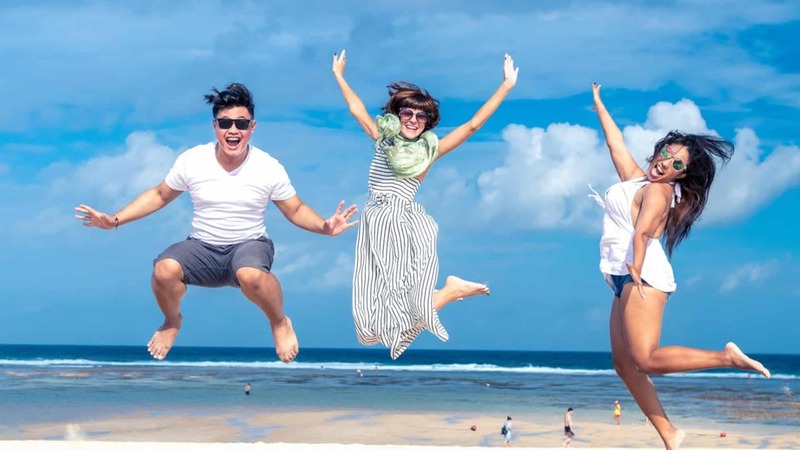 Make sure that you apply sunscreen to their body, ears, and nose before going outside into the sun, and provide them with ample shade throughout the day so that they can take a break and cool down out of the direct sun. It’s important to reapply sunscreen to your dog the same way that you do to humans to ensure that they are protected throughout the day. Sharp rocks, bits of shells, and broken glass on the beach can all cut into the pads of your dog’s feet. If your dog is willing to wear them, beach shoes are a great way to protect their feet and ensure that the pads don’t burn on the hot sand. Many dogs are unwilling to wear shoes, especially if they weren’t exposed to them as puppies, so dog owners need to be vigilant about watching for damage to paws and immediately wrapping them to help stop the bleeding and protect the wound from infection. 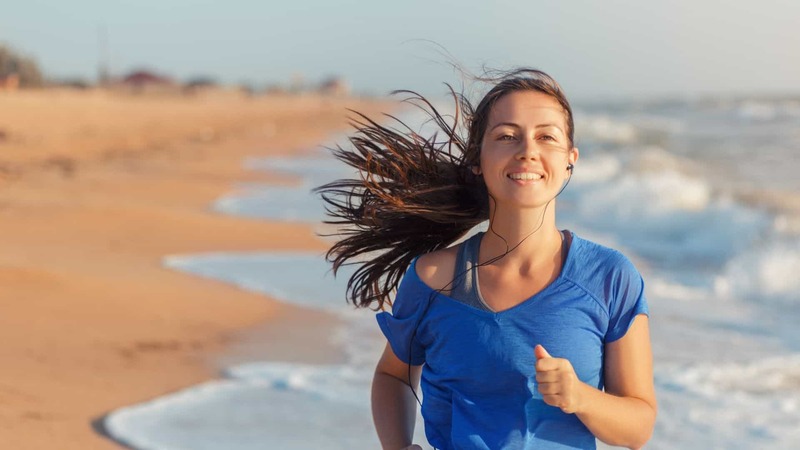 Additional things that you will want to remember are to leash your dog before you get out of the car so that they don’t run away in their excitement, and make sure that you allow them to get used to swimming in the ocean in a calmer area. Skip the big waves for now, and allow them to become accustomed to dealing with waves so that they will feel more confident and will be safe. When you’re done at the beach you will want to rinse off your dog to remove any minerals and salt from its coat and make sure that you wipe inside the ears to clean them, too. You can have a great day at the beach with your dog, but you need to make sure that you are prepared to keep your pet safe and ensure that he isn’t bothering anyone else. I know that by planning ahead, working on training, and making sure that you have all of the necessary supplies to take care of your dog, you can be certain that you will have a great vacation. There’s nothing like seeing your dog run free on the beach or playing in the surf, but a lot of planning goes into making that happen.